Little man doesn’t start nursery until the end of the month so although Autumn has now well and truly hit, our summer holidays are still going. I’ve been desperately trying to find things to do to keep little man entertained. We’ve been putting together a scrap book, party for LM so he can look back and remember what we’ve been but also partly so I can say ‘remember such and such, see we did loads during the holiday!’. Our latest (and probably last) outing of the Summer was to Paradise Park. We went last year and loved it so it was time to make a trip back again! These were little man’s favourite (not really sure why). He kept talking about them and when we went into the shop at the end, I said he could choose a badge to take home and she chose a meerkat one. This one is making sure we are nice friendly people (which we are….obviously). The others were digging up acorns. 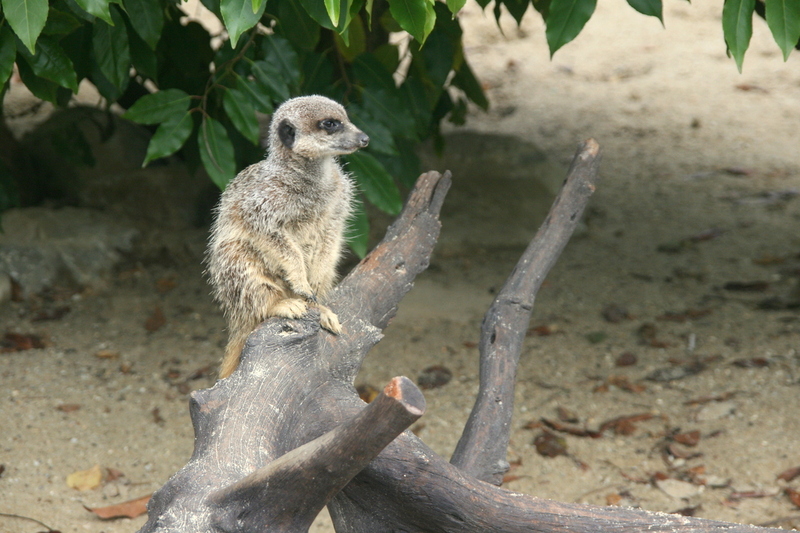 This one was having a relax on a tree branch on the other side of the enclosure. They are rather sweet really. 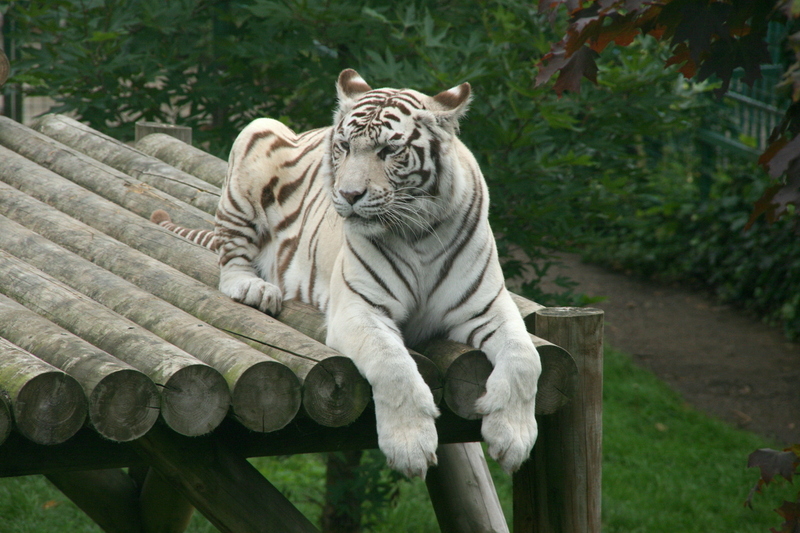 The beautiful white tiger. Isn’t he amazing? One thing I like about paradise park is how close you can get to the animals. It’s quite a small zoo (compared to somewhere like London Zoo or Whipsnade which are our other options) but you can see a lot. 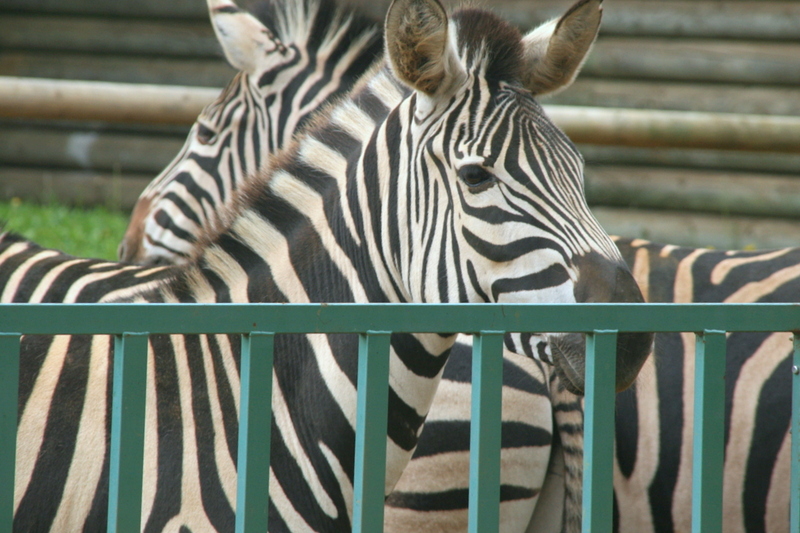 Some zebra’s. 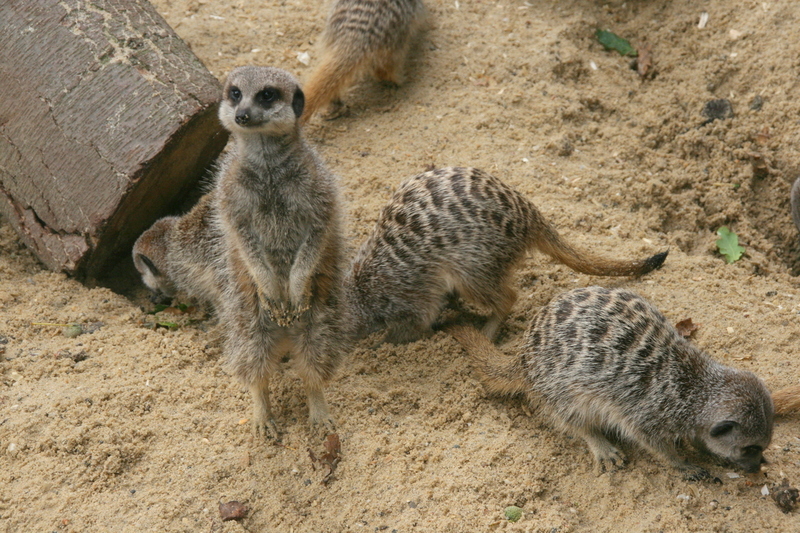 They were chasing each other around the enclosure which little man thought was very funny. He thought they were having a race. At this point I had to feed Little Miss so Little Man, Daddy and Nanny went to play in the extensive playgound. 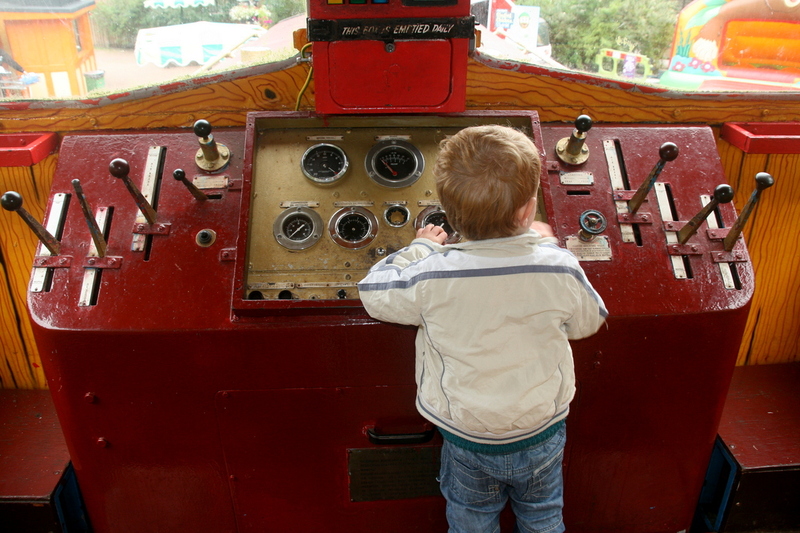 Here little man is having immense fun on a full size train. He’s really into slides at the moment and apparently when around the playgroup going on every slide he could find (I think there were about 22 in total). When he came home, the first thing he did run into our garden and go on his slide. I honestly don’t know where he gets it from! 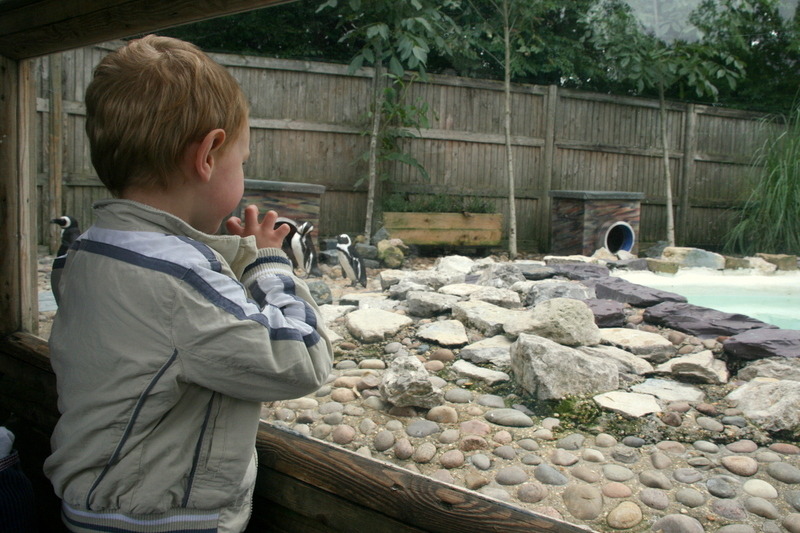 Here he is looking at the Penguins (his second favourite animal). 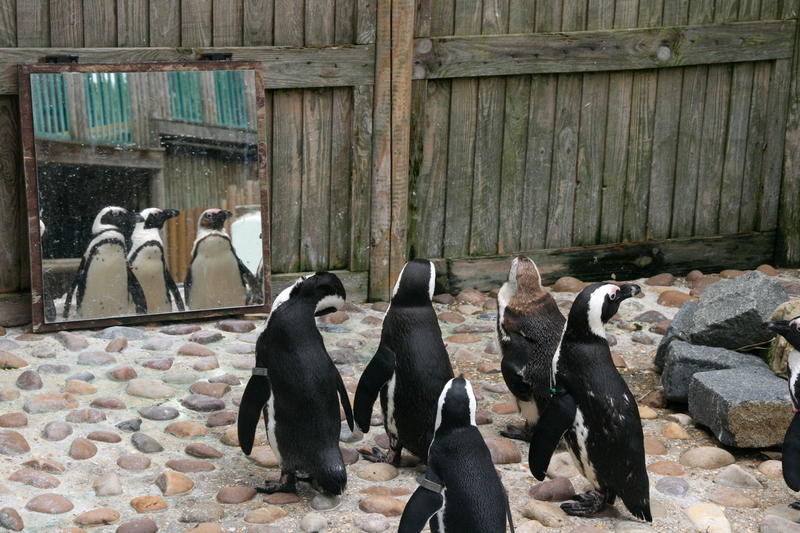 Here are the penguins looking at themselves. 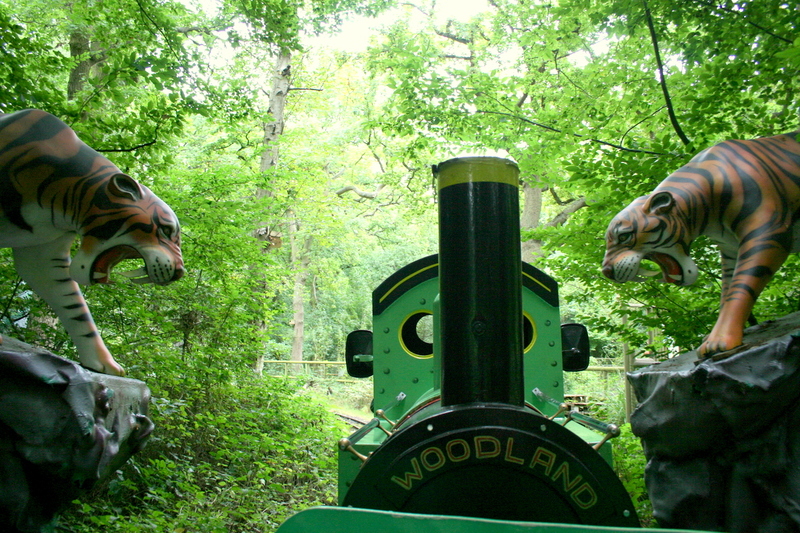 There was a little train ride through the wood which we obviously had to go on. 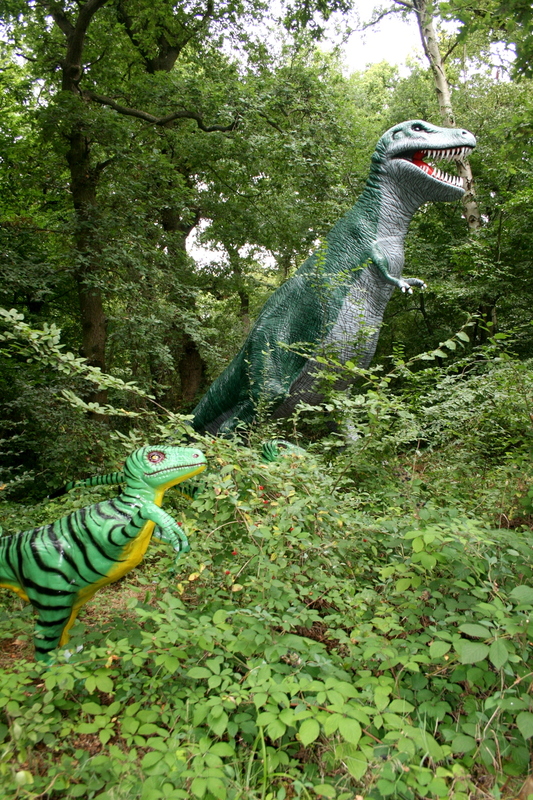 Random dinosaurs in the middle of the woods which we could see from the train. One of my favourite things was the treetop walk way that went along the top of all the big cat enclosures. It meant that you could see the beautiful cats without intruding too much. 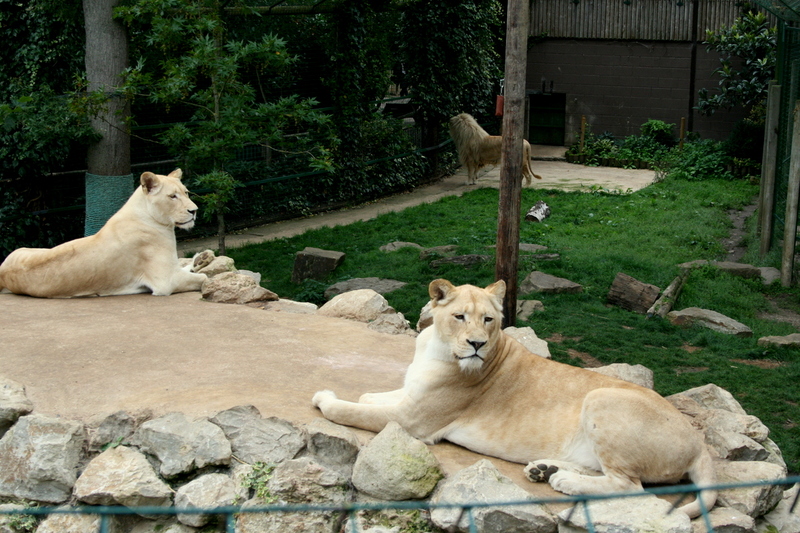 These lovely ladies are white lions (you can just see the male lion in the background looking at some other visitors). Nanny and Little Man having a chat. Apparently they were talking about why the parrots were making such a racket. Poor Little Man was scared stiff of them. I’m not sure why, I think it was the noise, but he wouldn’t go near them. 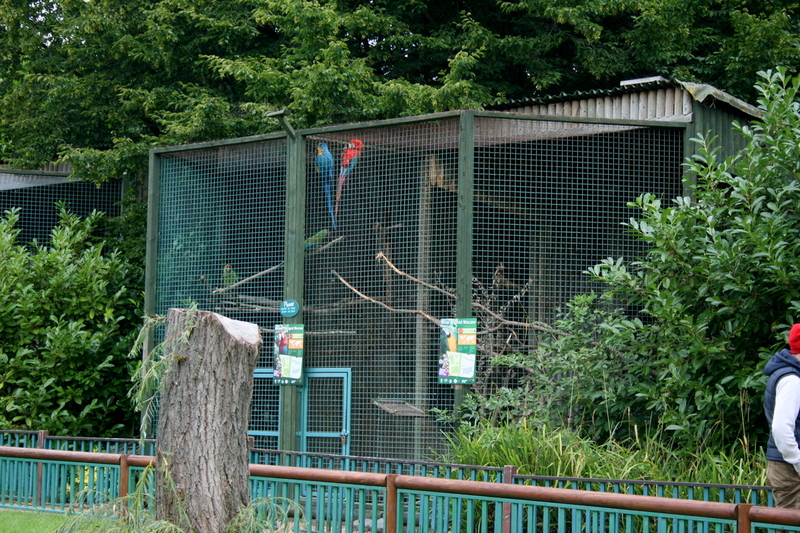 Here are the said parrots (taken from a distance obviously). I think they are rather beautiful but I understand why LM wasn’t sure about them, they were very loud! 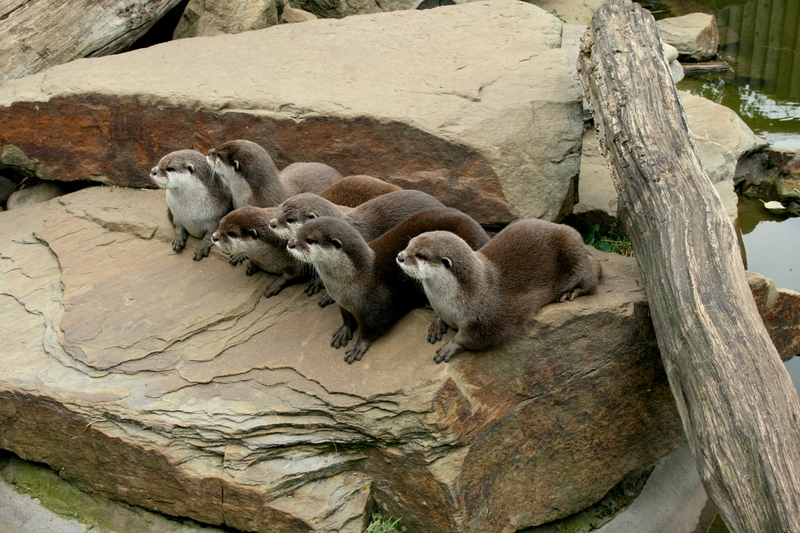 Last time he refused to go near them as well and ever since then has not gone into a pet shop if he can hear the birds. 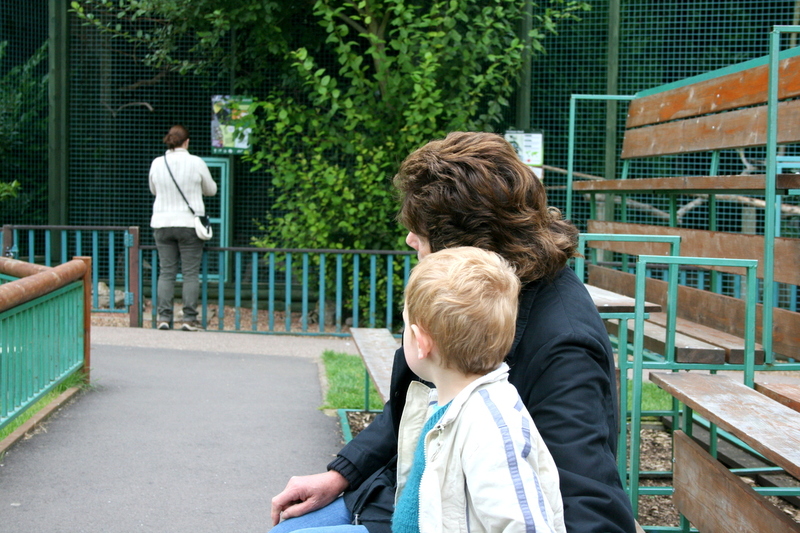 However the bonkers little man, when given a choice of badges that I said he could take home, chose a parrot one (?!). He still wears it and when he was choosing one this time, kept talking about his parrot badge that he had a home. I’m not sure I’m ever going to understand him! Well that’s about all for now. I’m hoping that when little man goes to nursery I’m going to have more time for crafting and writing some of those patterns that I have swimming around my head! I love taking our grandkids to the zoo. It so much fun to see how entertained they are by the animals. The picture of the white tiger is amazing! !